IT outsourcing, or ITO, refers to the action of a company subcontracting their IT services to a third party or Managed IT Service provider. Midshire’s expertise is there to support and enhance a company’s internal IT manager or staff. With us acting as your outsourcing partner, rather than replacing your own expertise. There are many aspects of IT services that can be outsourced, including: email hosting, CRM management, storage, backup and network monitoring. Why should you outsource your IT? 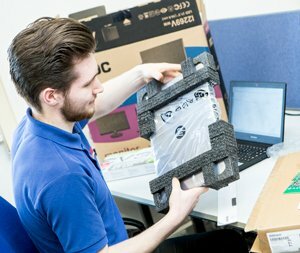 There are many reasons companies look to outsource aspects of their IT, including: improved efficiency, greater productivity, lack of specific knowledge and expertise and the opportunity to focus on core products and functions of the business in addition to saving on overhead and labour costs. Focus on Core Products and Functions – Businesses have limited resources, and every manager has limited time to give to complex IT problems. Companies can choose to outsource so they can focus on their core business processes, whilst delegating technical expertise to Midshire. Technical Expertise – If you are trying to employ an IT employee, but you yourself are not IT trained, it can be difficult to know what skills and competencies to look out for. By outsourcing to Midshire you gain access to a pool and range technical expertise available, from end user support, managed services to IT consultancy. Peace of Mind – The quality of the Midshire outsourcing team allows companies to get on with the running of their business without worrying about IT issues. You can get rid of the daily hassle infrastructure management brings, so you can focus on other projects. Midshire has had a 98% satisfaction rate on our IT outsourcing support in the past 6 months, measured through our state-of-the-art ticketing system. Security Benefits – Today it is more important than ever to make sure that your company is protected from hackers, online threats and virus. By outsourcing your IT to Midshire, you can remove the uncertainty and headaches that come with running IT networks and devices. Our team is familiar with security standards and can ensure that you have regular audits, firewalls updates and have everything in place to minimise threats to your business. Lower Operational and Labour Costs – CompTIA reports that 46% of companies cut IT spend by 25% annually when moving to outsourcing. Additionally, it turns fixed costs into variable costs, as you only pay for what you use. In terms of workforce, hiring and training IT staff can be very expensive. Outsourcing lets you focus your employment costs into the departments that can make your business more profitable. As an IT outsourcing company, Midshire strives to offer the highest level of service at all times. All our contracts have guaranteed levels of service you can expect, which are governed by Service Level Agreements SLAs. These relate to uptime, response times and application delivery. Midshire uses the latest tools and software to track, manage and monitor our service levels and report this back to our customers.